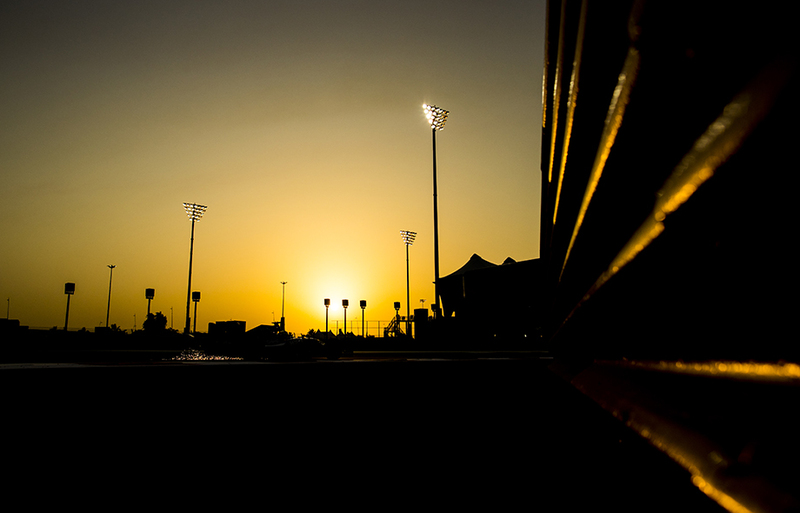 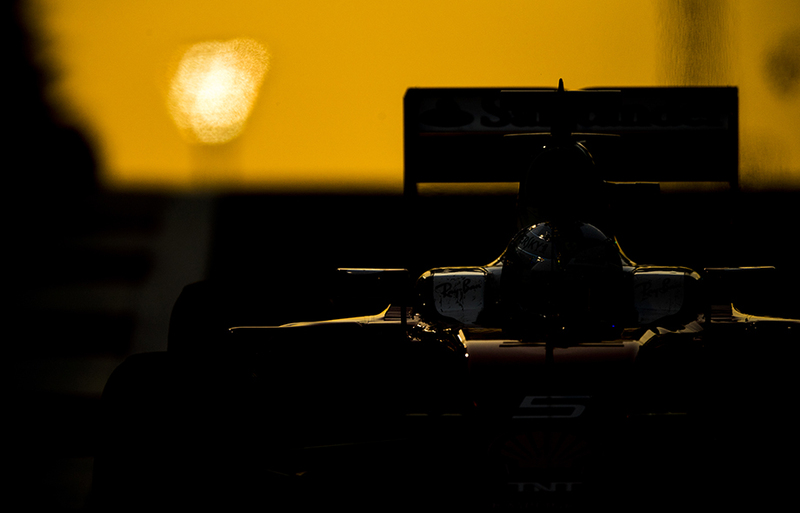 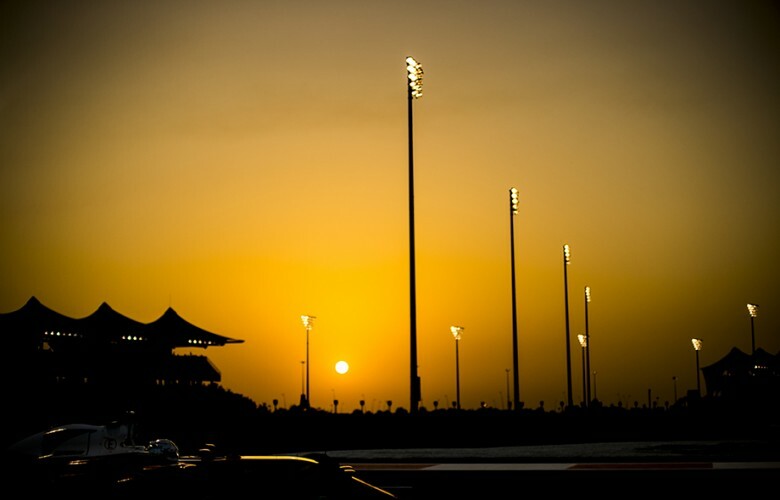 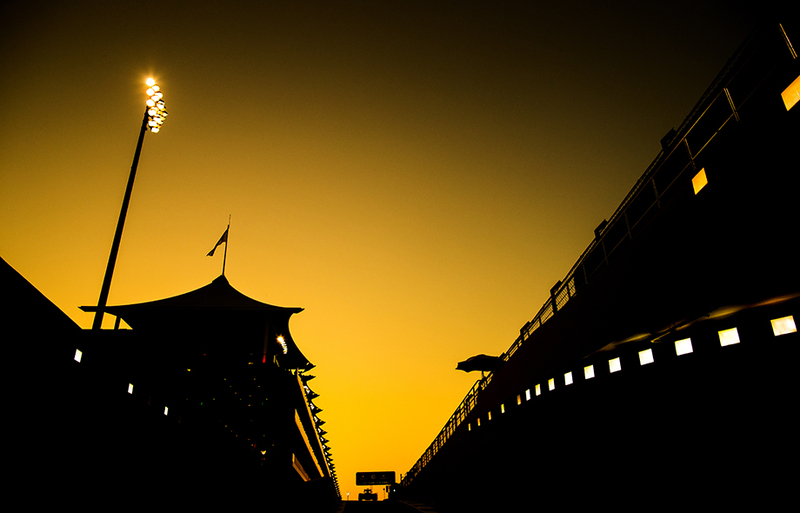 Sun sets down over the circuit during qualifying for the Abu Dhabi Formula One Grand Prix at Yas Marina Circuit on November 26, 2016 in Abu Dhabi, United Arab Emirates. 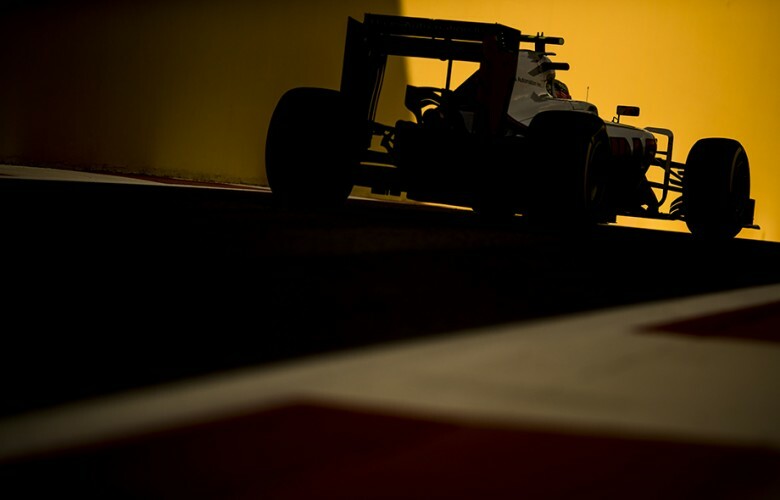 Esteban Gutierrez of Mexico and Haas F1 Team drives his VF16 during practice for the Abu Dhabi Formula One Grand Prix at Yas Marina Circuit on November 25, 2016 in Abu Dhabi, United Arab Emirates. 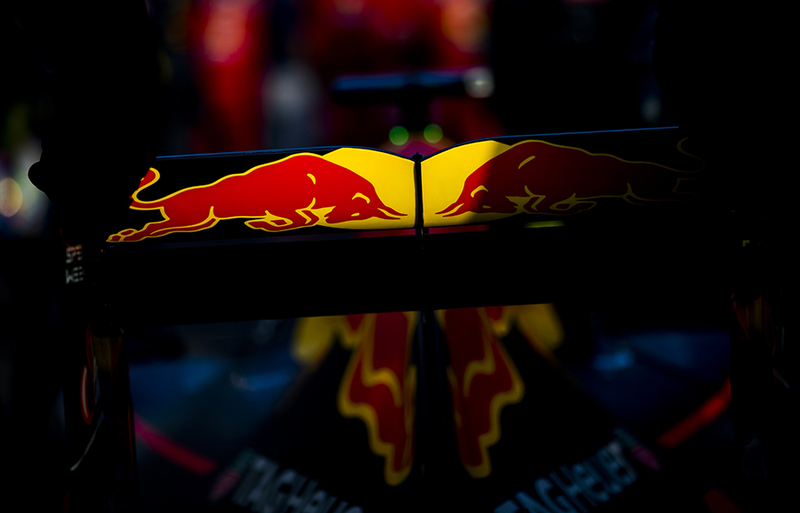 Daniel Ricciardo of Australia and Red Bull Racing drives his RB12 during practice prior qualifying for the Abu Dhabi Formula One Grand Prix at Yas Marina Circuit on November 26, 2016 in Abu Dhabi, United Arab Emirates. 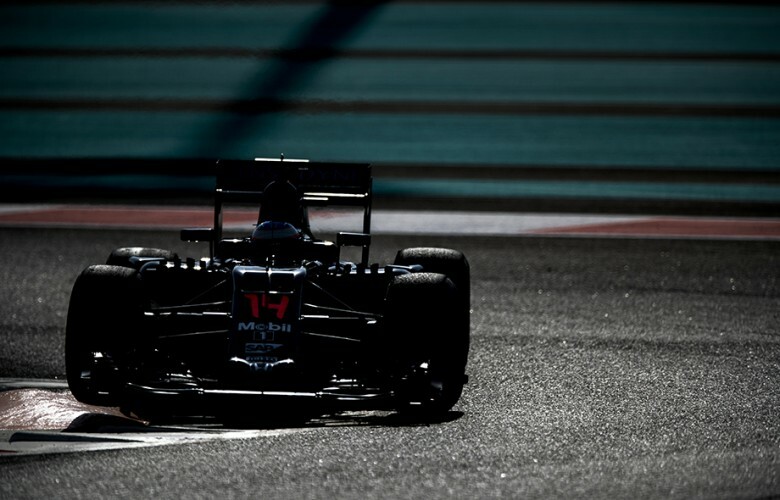 Fernando Alonso of Spain and McLaren-Honda drives his MP4-31 during practice prior qualifying for the Abu Dhabi Formula One Grand Prix at Yas Marina Circuit on November 26, 2016 in Abu Dhabi, United Arab Emirates. Fernando Alonso of Spain and McLaren-Honda drives his MP4-31 during the Abu Dhabi Formula One Grand Prix at Yas Marina Circuit on November 27, 2016 in Abu Dhabi, United Arab Emirates. 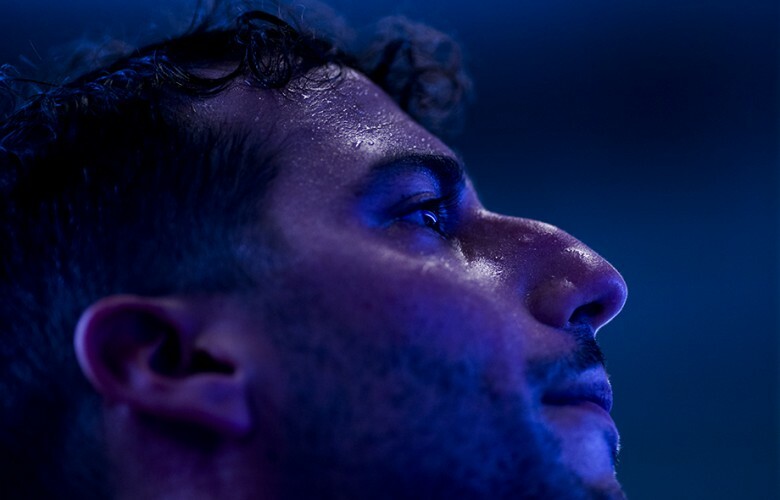 Daniel Ricciardo of Australia and Red Bull Racing is pictured in the garage following practice for the Abu Dhabi Formula One Grand Prix at Yas Marina Circuit on November 25, 2016 in Abu Dhabi, United Arab Emirates. 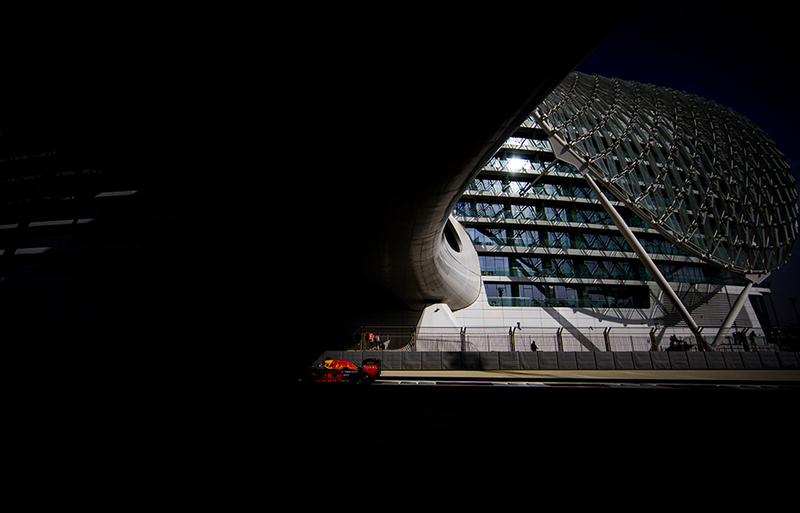 Max Verstappen of Netherlands and Red Bull Racing leaves his garage following practice for the Abu Dhabi Formula One Grand Prix at Yas Marina Circuit on November 25, 2016 in Abu Dhabi, United Arab Emirates. 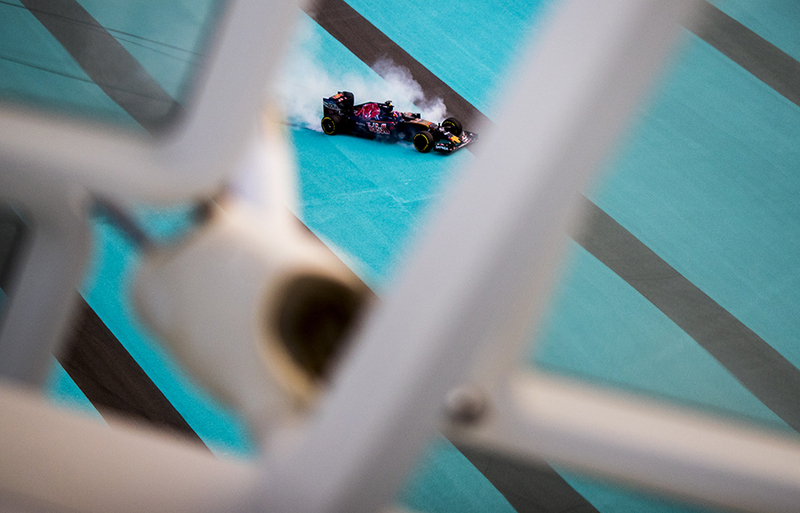 Daniil Kvyat of Russia and Scuderia Toro Rosso locks up after a puncture during practice for the Abu Dhabi Formula One Grand Prix at Yas Marina Circuit on November 25, 2016 in Abu Dhabi, United Arab Emirates. 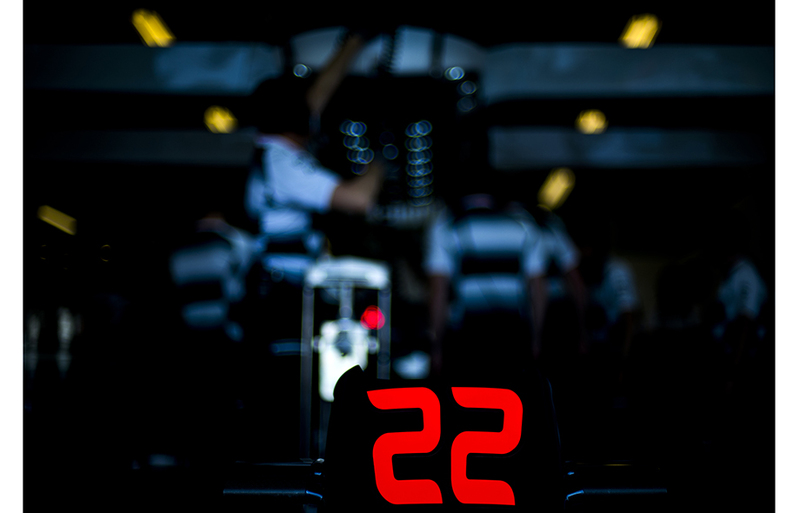 Last race of Jenson Button as his number #22 is seen in the McLaren-Honda garage during practice for the Abu Dhabi Formula One Grand Prix at Yas Marina Circuit on November 25, 2016 in Abu Dhabi, United Arab Emirates. 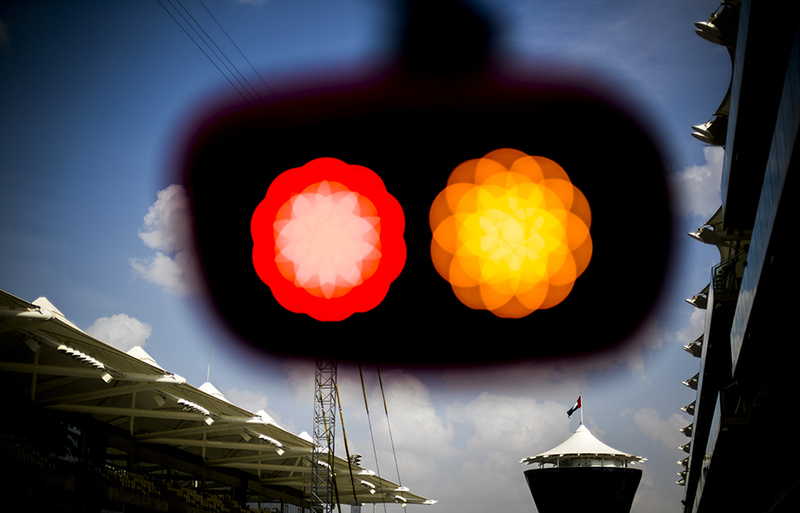 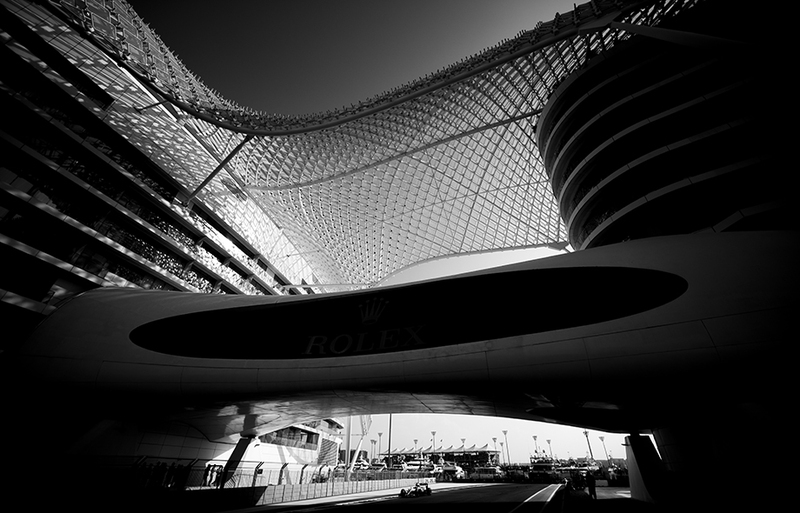 The race control tower is pictured during practice for the Abu Dhabi Formula One Grand Prix at Yas Marina Circuit on November 25, 2016 in Abu Dhabi, United Arab Emirates. Max Verstappen of Netherlands and Red Bull Racing drives his RB12 during practice for the Abu Dhabi Formula One Grand Prix at Yas Marina Circuit on November 25, 2016 in Abu Dhabi, United Arab Emirates. 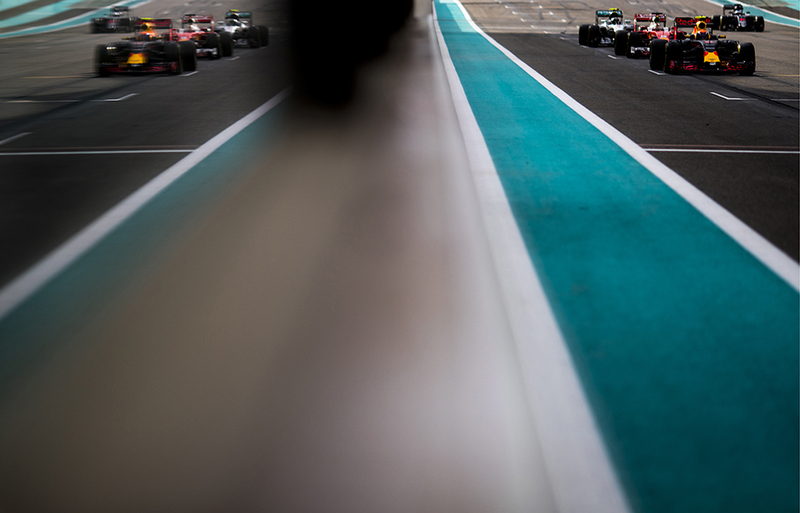 Max Verstappen of Netherlands and Red Bull Racing, Sebastian Vettel of Germany and Scuderia Ferrari, Nico Rosberg of Germany and Mercedes AMG Petronas and Fernando Alonso of Spain and McLaren-Honda at a start practice during practice for the Abu Dhabi Formula One Grand Prix at Yas Marina Circuit on November 25, 2016 in Abu Dhabi, United Arab Emirates. Daniil Kvyat of Russia and Scuderia Toro Rosso drives his STR 11 during the Abu Dhabi Formula One Grand Prix at Yas Marina Circuit on November 27, 2016 in Abu Dhabi, United Arab Emirates. Lewis Hamilton of Great Britain and Mercedes AMG Petronas drives his W07 Hybrid during practice for the Abu Dhabi Formula One Grand Prix at Yas Marina Circuit on November 25, 2016 in Abu Dhabi, United Arab Emirates. 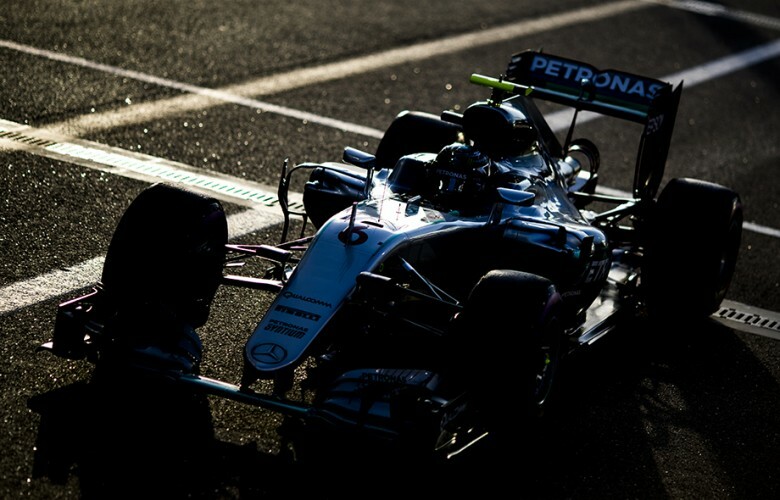 Nico Rosberg of Germany and Mercedes AMG Petronas drives his W07 Hybrid during practice for the Abu Dhabi Formula One Grand Prix at Yas Marina Circuit on November 25, 2016 in Abu Dhabi, United Arab Emirates. 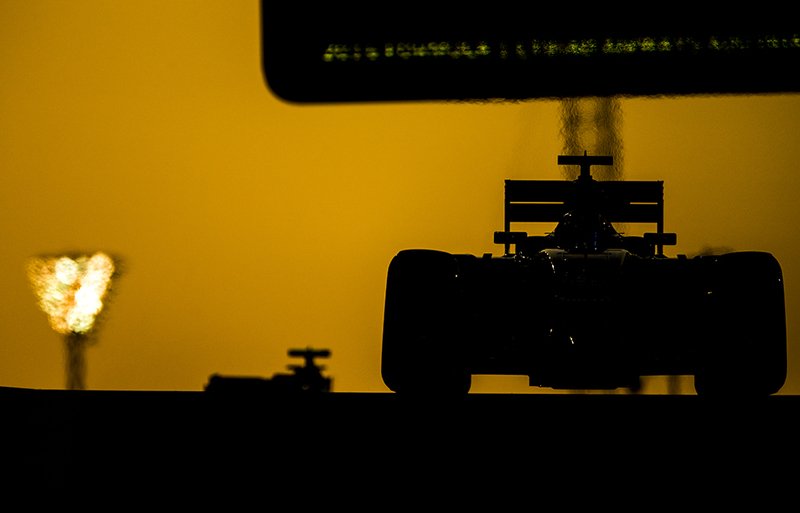 Max Verstappen of Netherlands and Red Bull Racing drives his RB12 during qualifying for the Abu Dhabi Formula One Grand Prix at Yas Marina Circuit on November 26, 2016 in Abu Dhabi, United Arab Emirates. 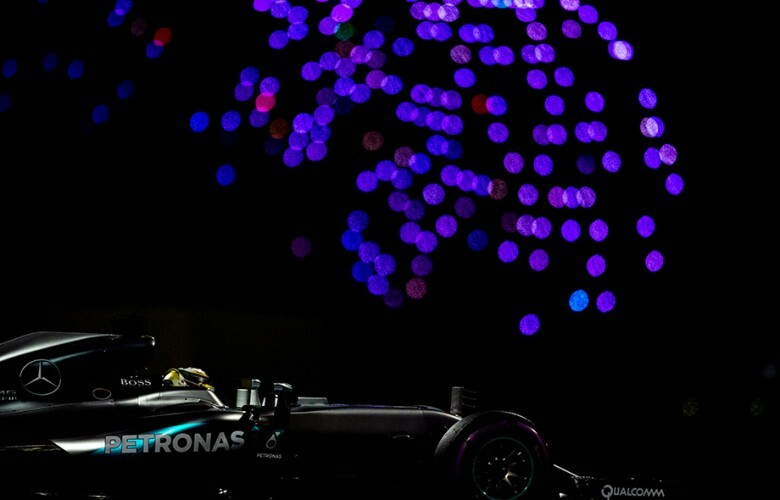 Lewis Hamilton of Great Britain and Mercedes AMG Petronas is seen following qualifying for the Abu Dhabi Formula One Grand Prix at Yas Marina Circuit on November 26, 2016 in Abu Dhabi, United Arab Emirates. 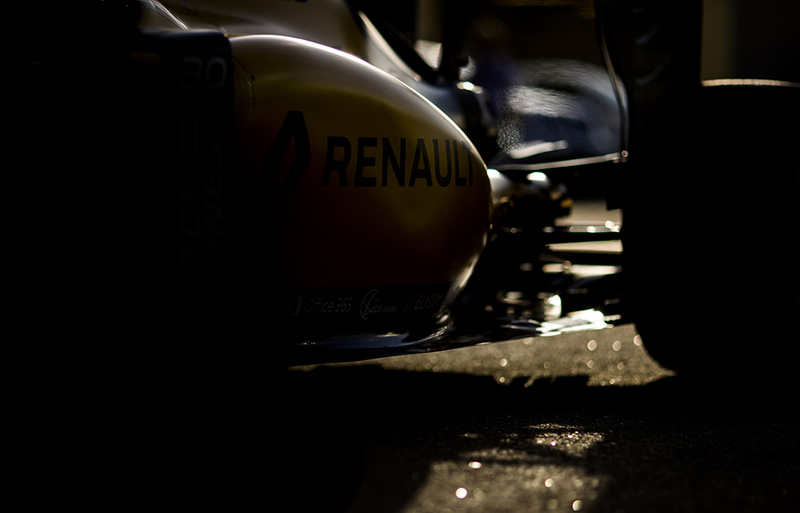 Jolyon Palmer of Great Britain and Renault Sport Formula 1 Team drives his RS16 during practice for the Abu Dhabi Formula One Grand Prix at Yas Marina Circuit on November 25, 2016 in Abu Dhabi, United Arab Emirates. Sebastian Vettel of Germany and Scuderia Ferrari drives his Ferrari SF16-H during the Abu Dhabi Formula One Grand Prix at Yas Marina Circuit on November 27, 2016 in Abu Dhabi, United Arab Emirates. Daniel Ricciardo of Australia and Red Bull Racing is seen during previews for the Abu Dhabi Formula One Grand Prix at Yas Marina Circuit on November 24, 2016 in Abu Dhabi, United Arab Emirates. 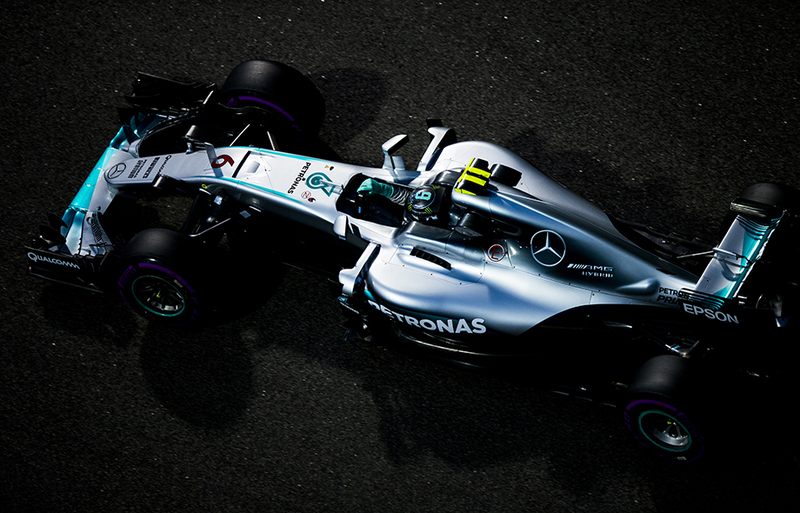 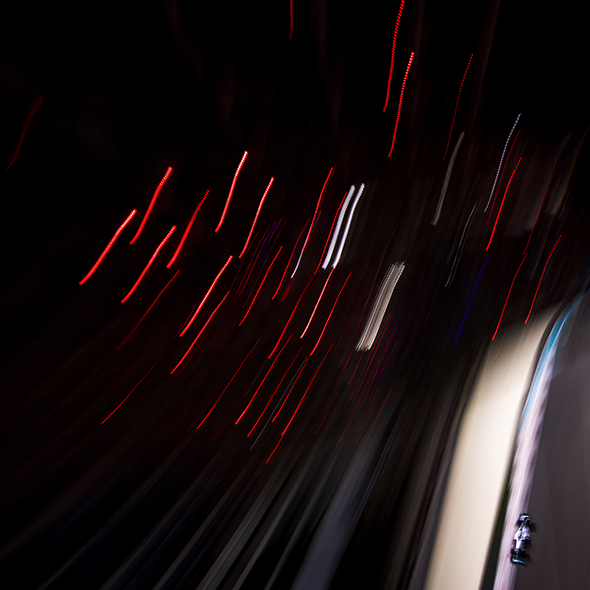 Lewis Hamilton of Great Britain and Mercedes AMG Petronas drives his W07 Hybrid during practice prior qualifying for the Abu Dhabi Formula One Grand Prix at Yas Marina Circuit on November 26, 2016 in Abu Dhabi, United Arab Emirates. 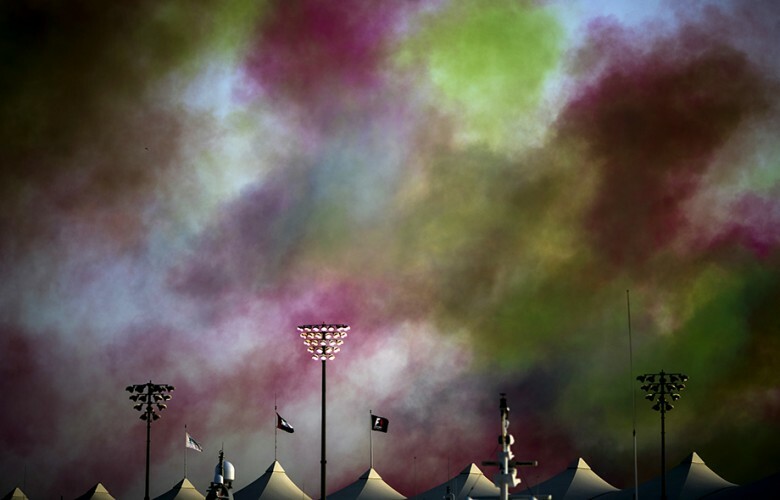 UAE coloured smoke is pictured over the track following the pre qualifying air show for the Abu Dhabi Formula One Grand Prix at Yas Marina Circuit on November 26, 2016 in Abu Dhabi, United Arab Emirates. Sebastian Vettel of Germany and Scuderia Ferrari drives his Ferrari SF16-H during qualifying for the Abu Dhabi Formula One Grand Prix at Yas Marina Circuit on November 26, 2016 in Abu Dhabi, United Arab Emirates. Sparks come off the VJM09 of Sergio Perez of Mexico and Sahara Force India during qualifying for the Abu Dhabi Formula One Grand Prix at Yas Marina Circuit on November 26, 2016 in Abu Dhabi, United Arab Emirates. 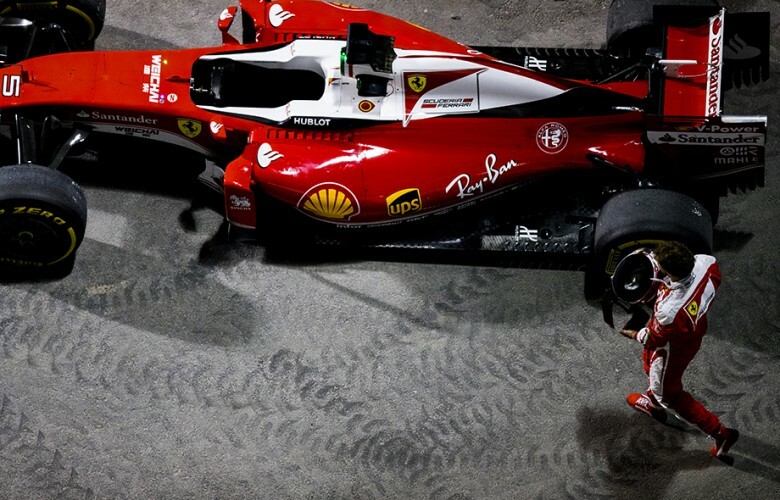 Sebastian Vettel of Germany and Scuderia Ferrari parks his Ferrari outside the track during practice for the Abu Dhabi Formula One Grand Prix at Yas Marina Circuit on November 25, 2016 in Abu Dhabi, United Arab Emirates. 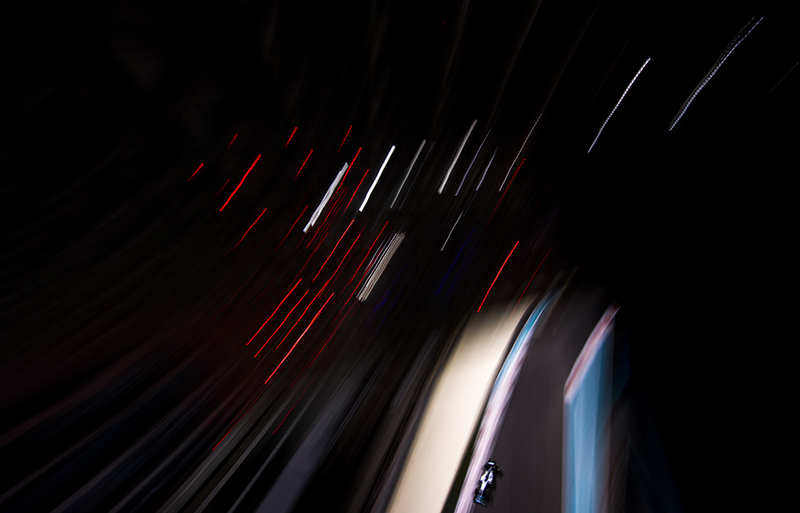 Lewis Hamilton of Great Britain and Mercedes AMG Petronas drives his W07 Hybrid during qualifying for the Abu Dhabi Formula One Grand Prix at Yas Marina Circuit on November 26, 2016 in Abu Dhabi, United Arab Emirates. 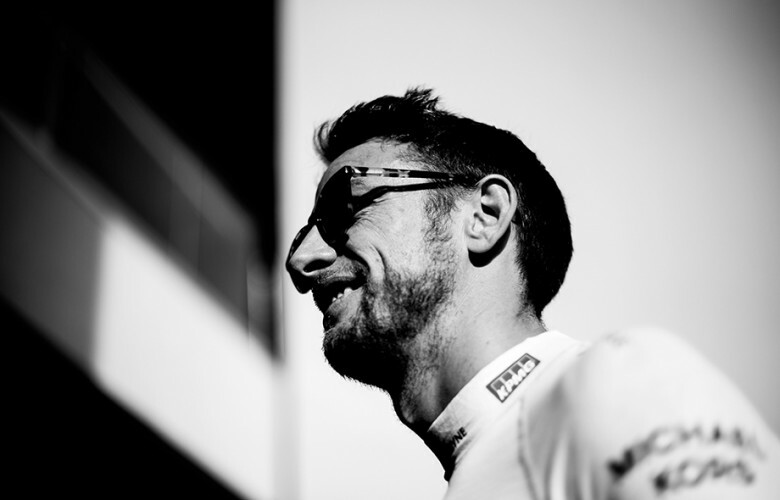 Jenson Button of Great Britain and McLaren-Honda is seen ahead of the Abu Dhabi Formula One Grand Prix at Yas Marina Circuit on November 27, 2016 in Abu Dhabi, United Arab Emirates. 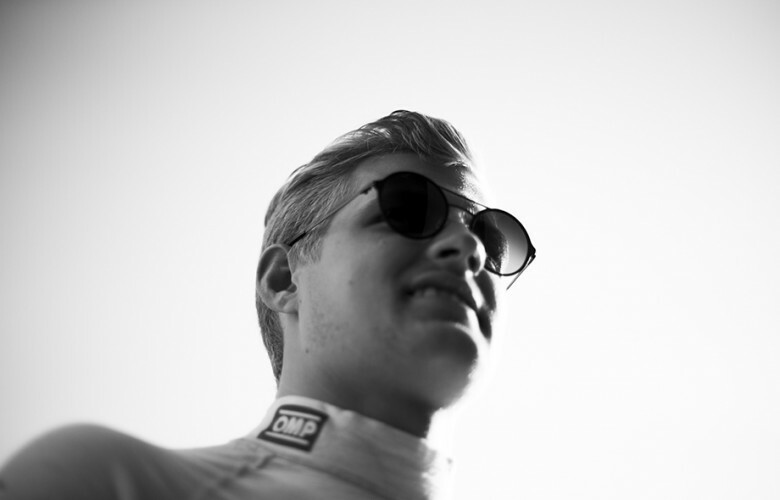 Marcus Ericsson of Sweden and Sauber F1 Team is pictured prior to the Abu Dhabi Formula One Grand Prix at Yas Marina Circuit on November 27, 2016 in Abu Dhabi, United Arab Emirates. 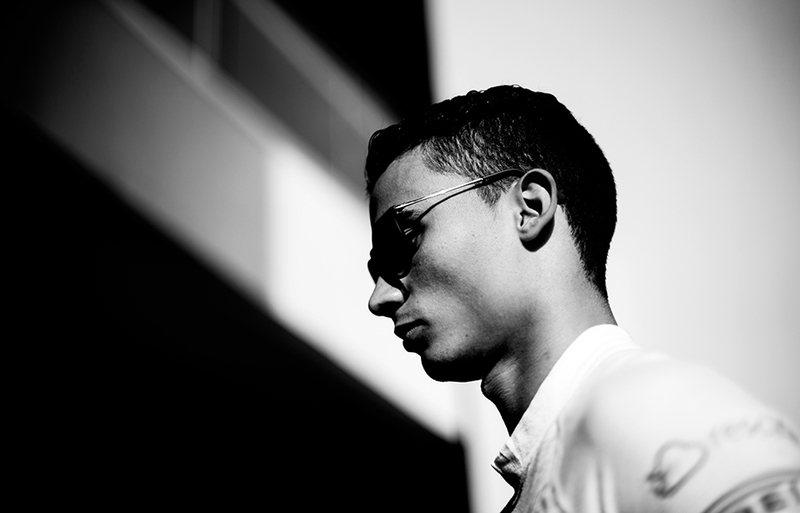 Pascal Wehrlein of Germany and Manor Racing MRT-Mercedes prior to the Abu Dhabi Formula One Grand Prix at Yas Marina Circuit on November 27, 2016 in Abu Dhabi, United Arab Emirates. 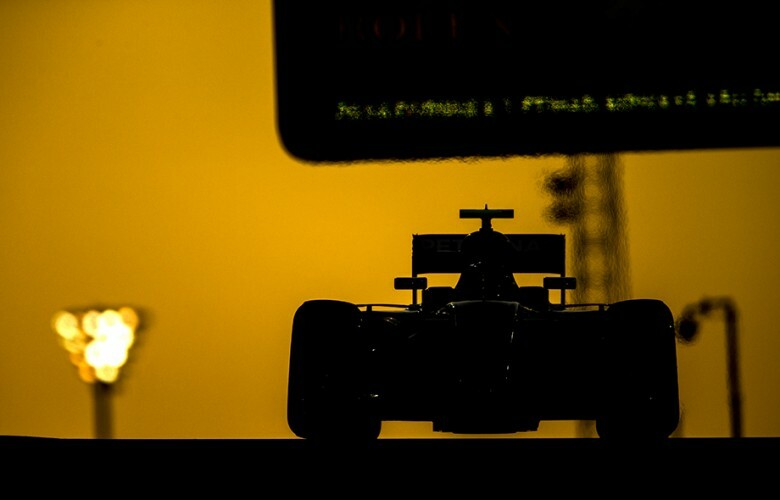 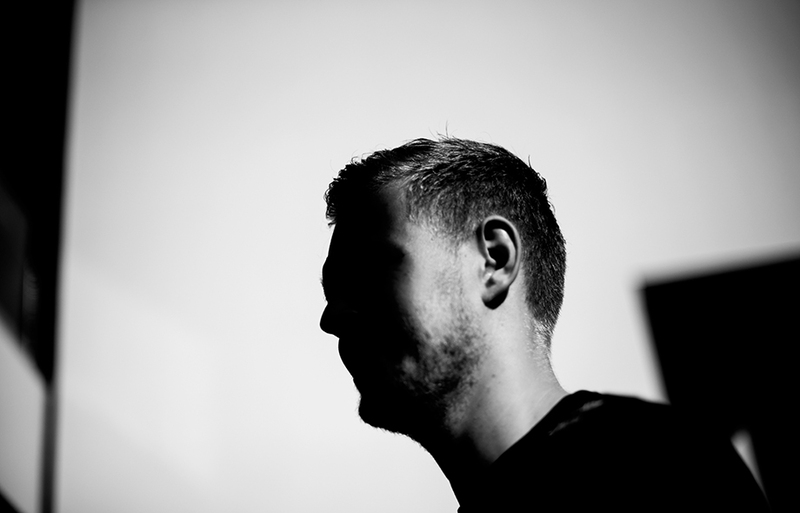 Kevin Magnussen of Denmark and Renault Sport Formula 1 Team is seen ahead of the Abu Dhabi Formula One Grand Prix at Yas Marina Circuit on November 27, 2016 in Abu Dhabi, United Arab Emirates. 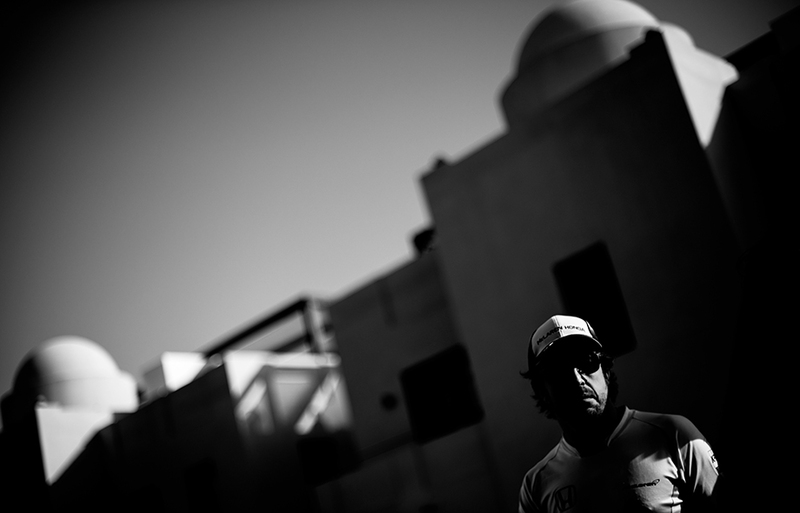 Fernando Alonso of Spain and McLaren-Honda ahead of the Abu Dhabi Formula One Grand Prix at Yas Marina Circuit on November 27, 2016 in Abu Dhabi, United Arab Emirates. 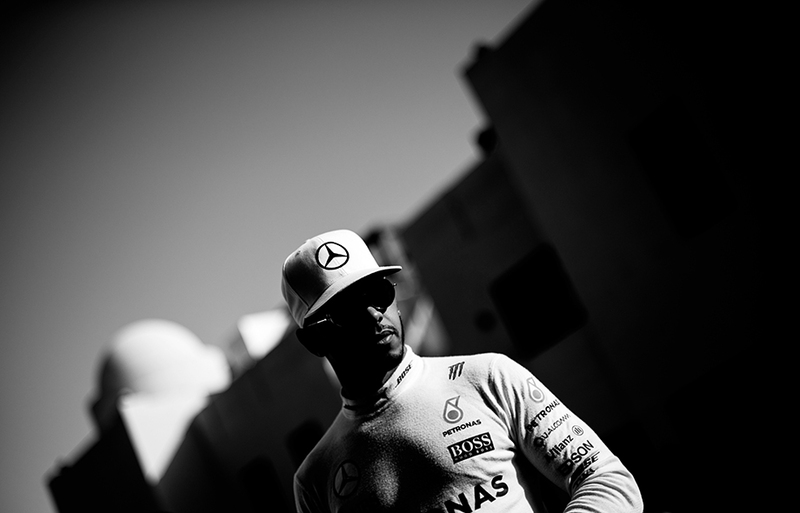 Lewis Hamilton of Great Britain and Mercedes AMG Petronas is pictured prior to the Abu Dhabi Formula One Grand Prix at Yas Marina Circuit on November 27, 2016 in Abu Dhabi, United Arab Emirates. 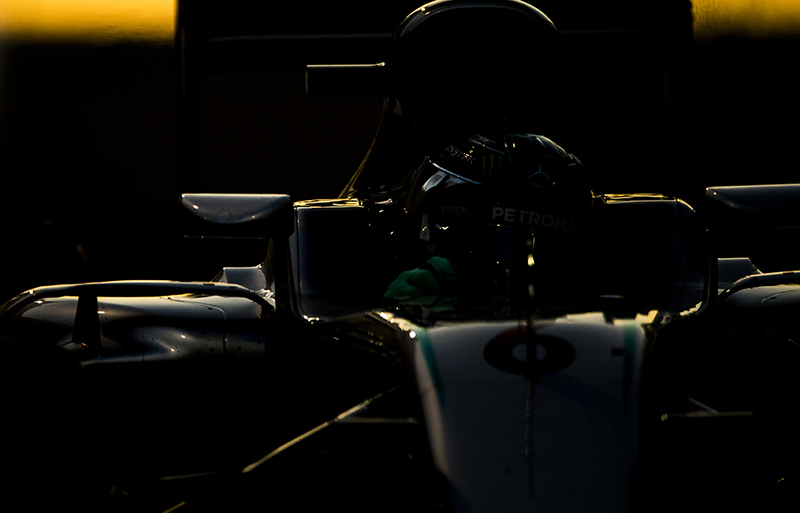 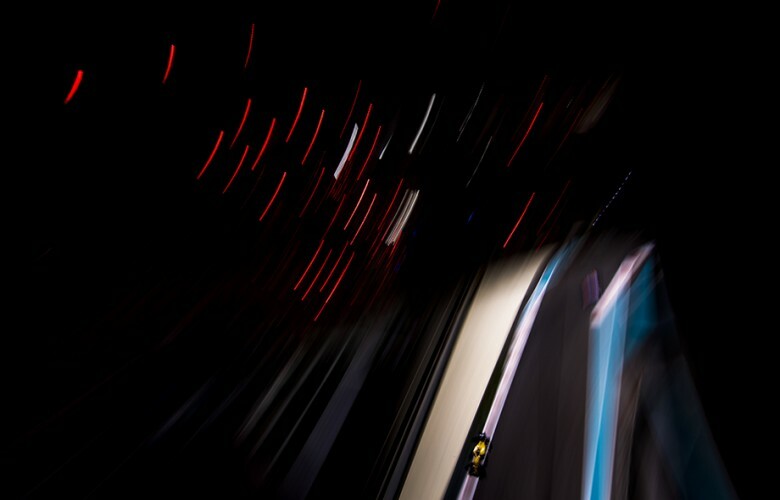 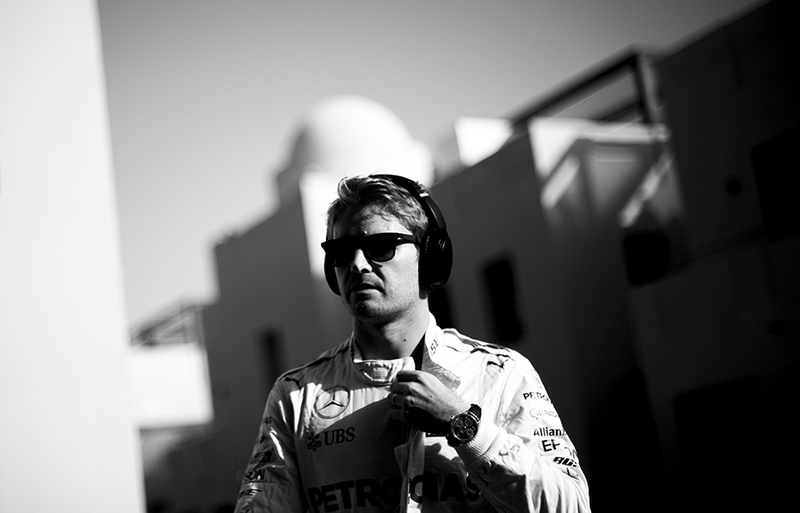 Nico Rosberg of Germany and Mercedes AMG Petronas is seen ahead of the Abu Dhabi Formula One Grand Prix at Yas Marina Circuit on November 27, 2016 in Abu Dhabi, United Arab Emirates. 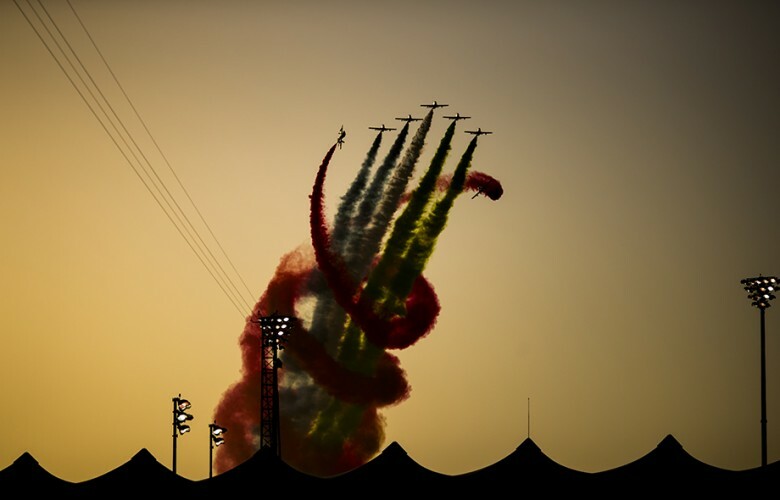 Pre-race air show is seen ahead of the Abu Dhabi Formula One Grand Prix at Yas Marina Circuit on November 27, 2016 in Abu Dhabi, United Arab Emirates. 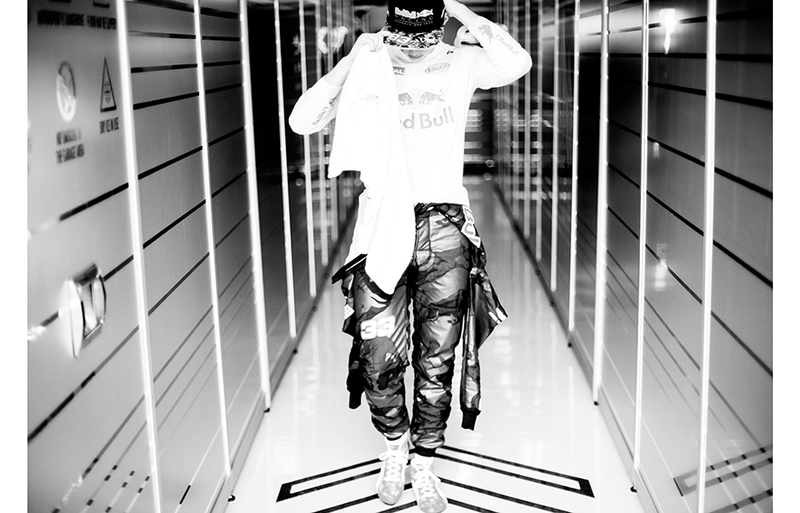 Daniel Ricciardo of Australia and Red Bull Racing arrives on the grid prior to the Abu Dhabi Formula One Grand Prix at Yas Marina Circuit on November 27, 2016 in Abu Dhabi, United Arab Emirates. 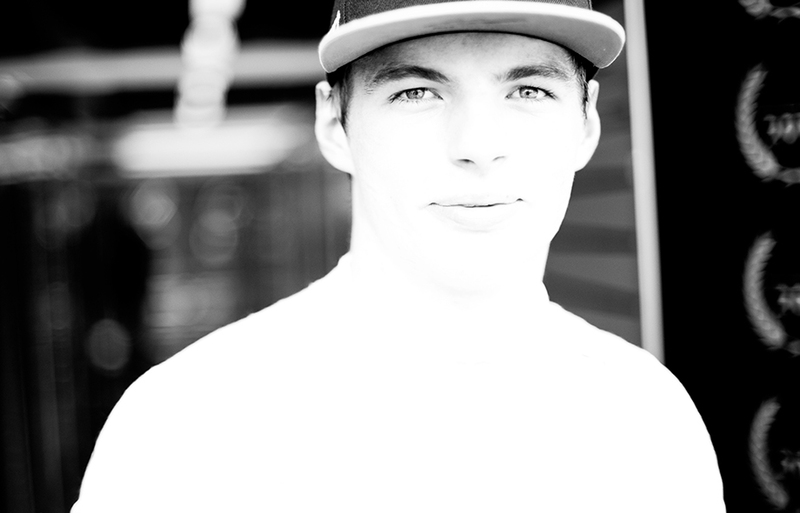 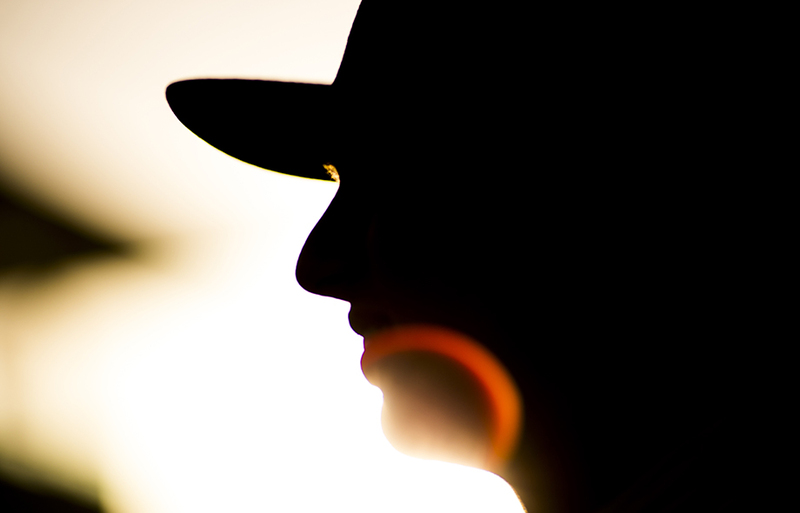 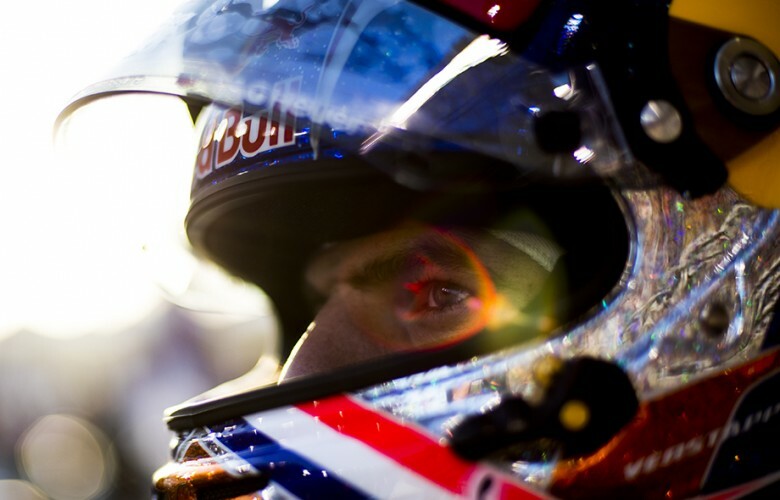 Max Verstappen of Netherlands and Red Bull Racing is seen on the grid prior to the Abu Dhabi Formula One Grand Prix at Yas Marina Circuit on November 27, 2016 in Abu Dhabi, United Arab Emirates. 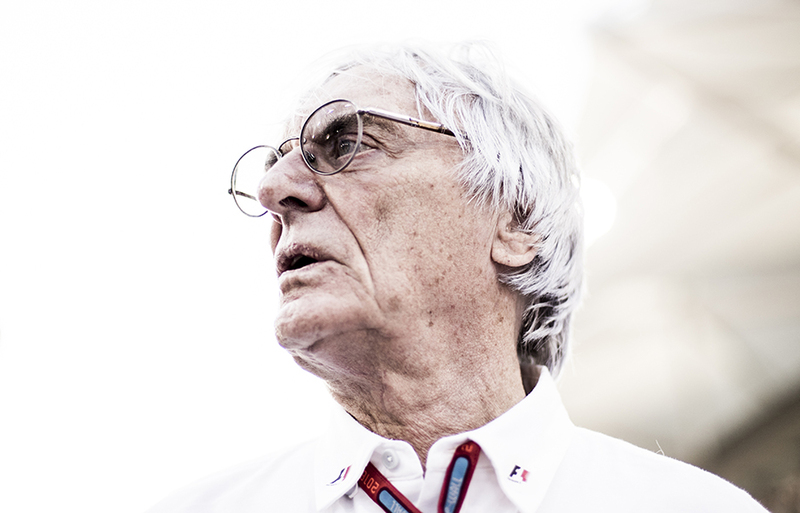 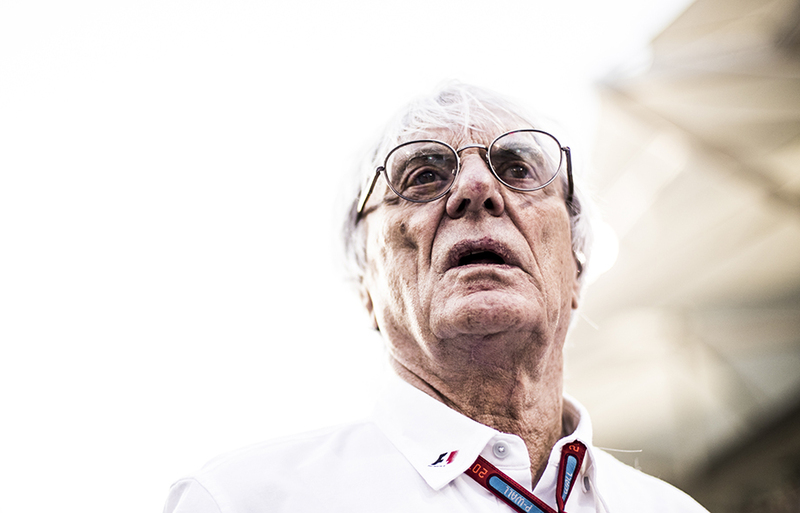 Formula One Supremo Bernie Ecclestone is seen on the grid prior to the Abu Dhabi Formula One Grand Prix at Yas Marina Circuit on November 27, 2016 in Abu Dhabi, United Arab Emirates. Kevin Magnussen of Denmark and Renault Sport Formula 1 Team drives his RS16 during the Abu Dhabi Formula One Grand Prix at Yas Marina Circuit on November 27, 2016 in Abu Dhabi, United Arab Emirates. Nico Rosberg of Germany and Mercedes AMG Petronas drives his W07 Hybrid during the Abu Dhabi Formula One Grand Prix at Yas Marina Circuit on November 27, 2016 in Abu Dhabi, United Arab Emirates. 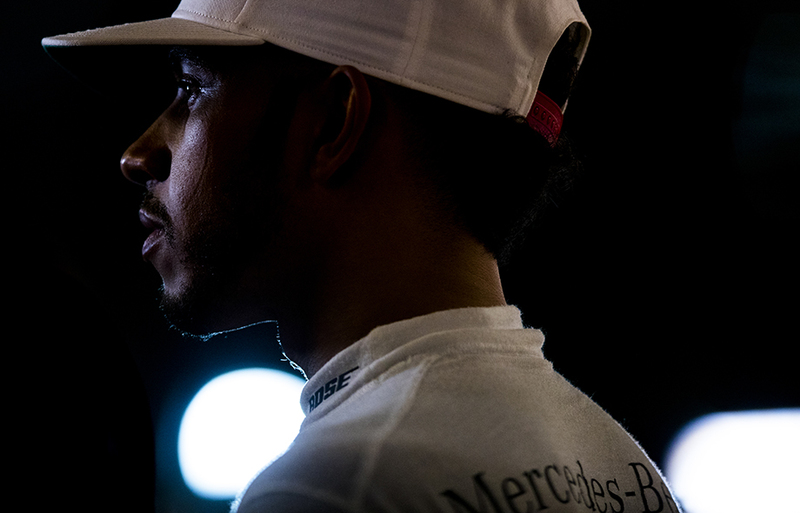 Lewis Hamilton of Great Britain and Mercedes AMG Petronas speaks to his engineer on the grid ahead of the Abu Dhabi Formula One Grand Prix at Yas Marina Circuit on November 27, 2016 in Abu Dhabi, United Arab Emirates. 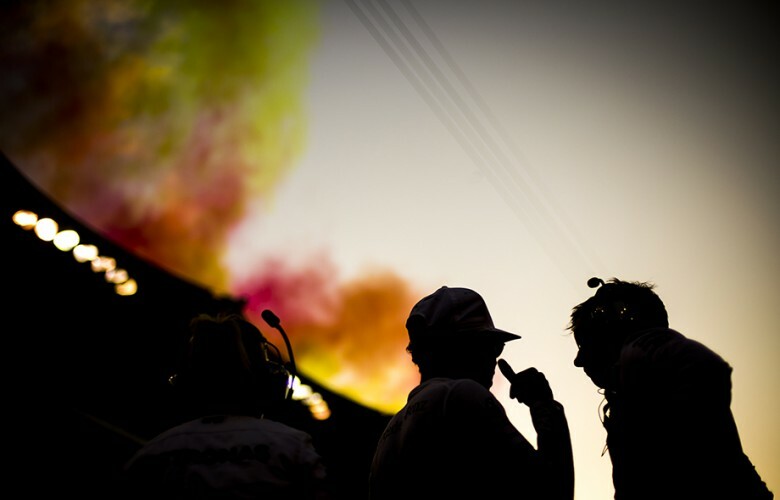 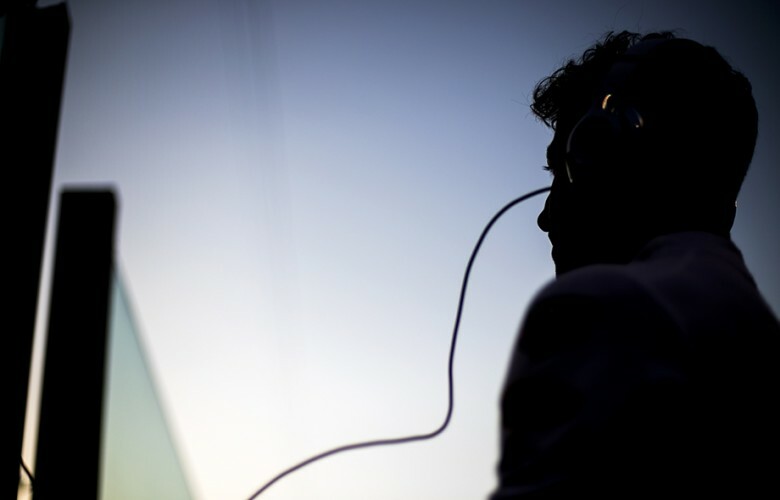 Daniel Ricciardo of Australia and Red Bull Racing listens to music on the grid prior to the Abu Dhabi Formula One Grand Prix at Yas Marina Circuit on November 27, 2016 in Abu Dhabi, United Arab Emirates. 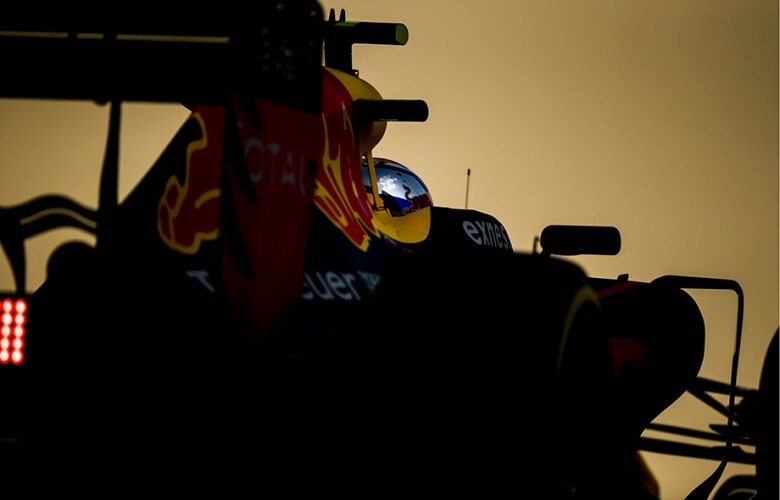 Max Verstappen of Netherlands and Red Bull Racing is seen on the grid ahead of the Abu Dhabi Formula One Grand Prix at Yas Marina Circuit on November 27, 2016 in Abu Dhabi, United Arab Emirates. 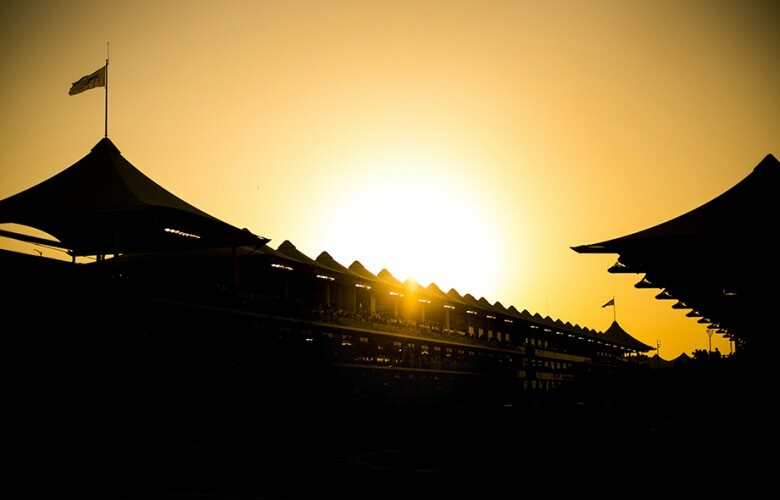 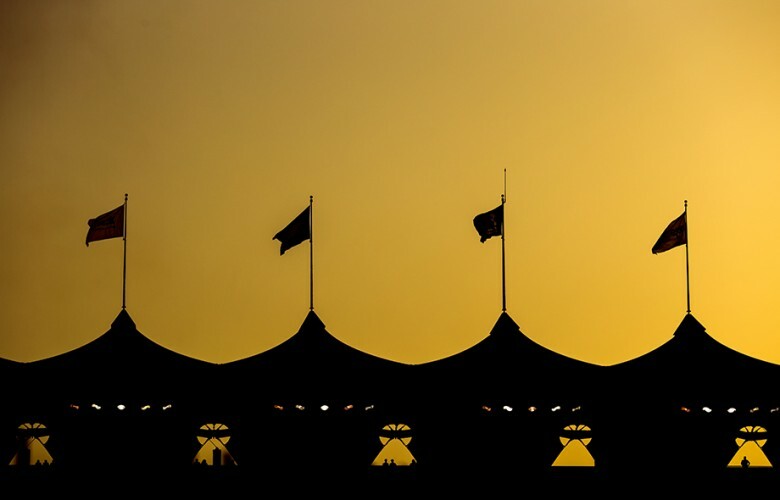 Sun sets down over Yas Marina Circuit during the Abu Dhabi Formula One Grand Prix at Yas Marina Circuit on November 27, 2016 in Abu Dhabi, United Arab Emirates. 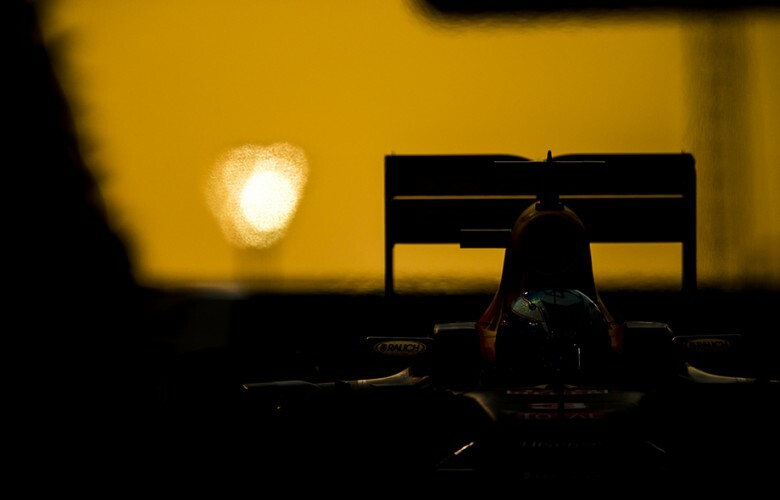 Carlos Sainz of Spain and Scuderia Toro Rosso drives his STR 11 during the Abu Dhabi Formula One Grand Prix at Yas Marina Circuit on November 27, 2016 in Abu Dhabi, United Arab Emirates. 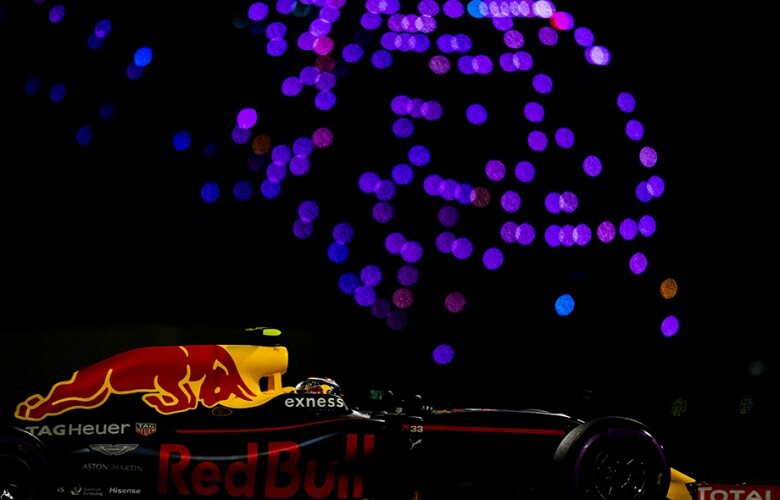 Daniel Ricciardo of Australia and Red Bull Racing drives his RB12 during the Abu Dhabi Formula One Grand Prix at Yas Marina Circuit on November 27, 2016 in Abu Dhabi, United Arab Emirates. 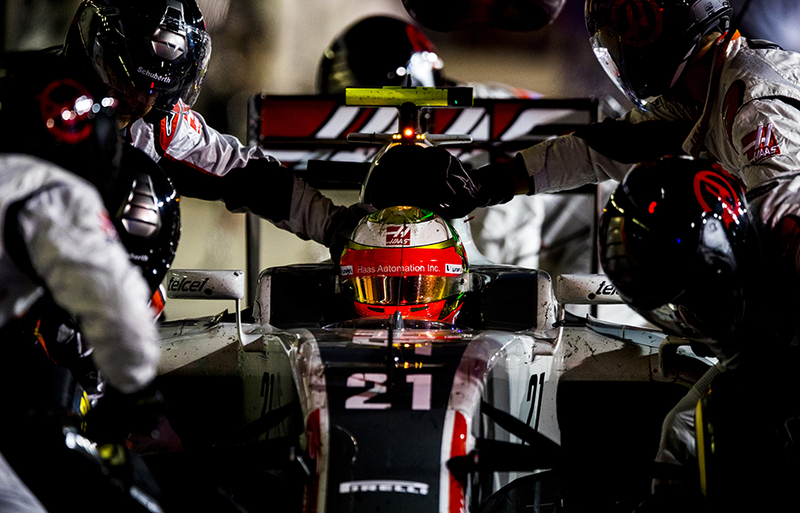 Esteban Gutierrez of Mexico and Haas F1 Team stops for a pitstop during the Abu Dhabi Formula One Grand Prix at Yas Marina Circuit on November 27, 2016 in Abu Dhabi, United Arab Emirates. 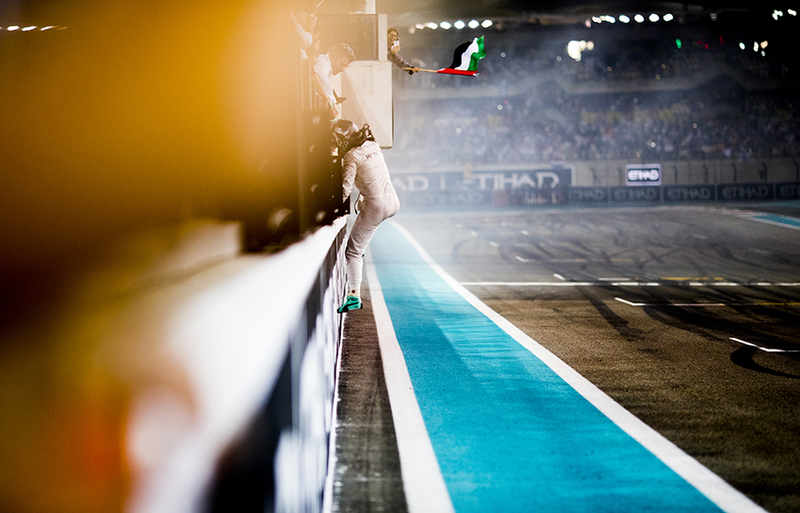 Nico Rosberg of Germany and Mercedes AMG Petronas clims the pitwall following his celebration after finishing second during the Abu Dhabi Formula One Grand Prix at Yas Marina Circuit on November 27, 2016 in Abu Dhabi, United Arab Emirates. 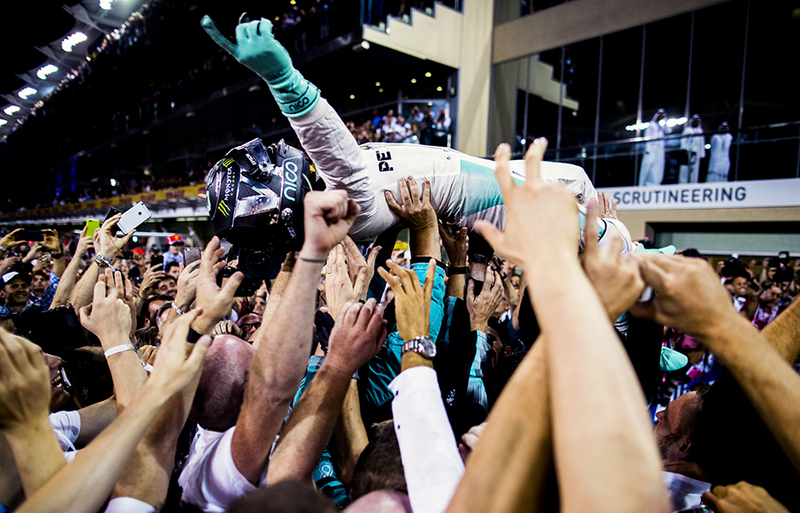 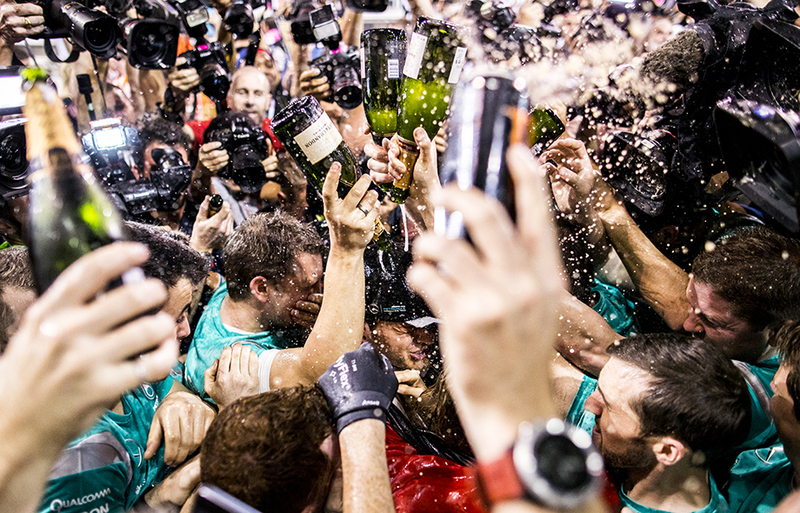 Nico Rosberg of Germany and Mercedes AMG Petronas is celebrated by his team after claiming his first World Championship Title following the Abu Dhabi Formula One Grand Prix at Yas Marina Circuit on November 27, 2016 in Abu Dhabi, United Arab Emirates. 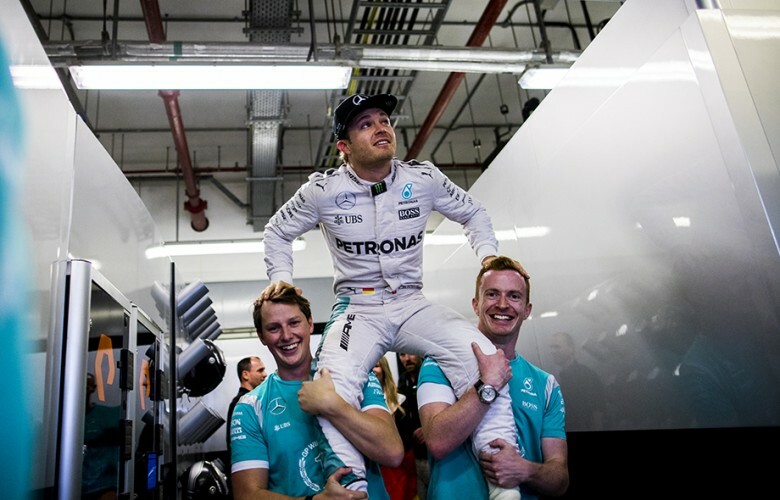 Nico Rosberg of Germany and Mercedes AMG Petronas celebrates on the podium after claiming his first World Championship Title during the Abu Dhabi Formula One Grand Prix at Yas Marina Circuit on November 27, 2016 in Abu Dhabi, United Arab Emirates. 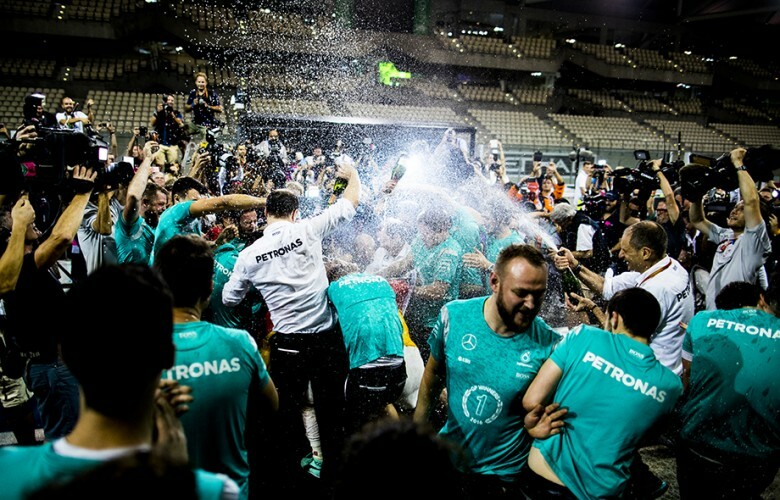 Nico Rosberg of Germany and Mercedes AMG Petronas is celebrated by his team together with his wife Vivian Sibold after claiming his first World Championship Title following the Abu Dhabi Formula One Grand Prix at Yas Marina Circuit on November 27, 2016 in Abu Dhabi, United Arab Emirates. 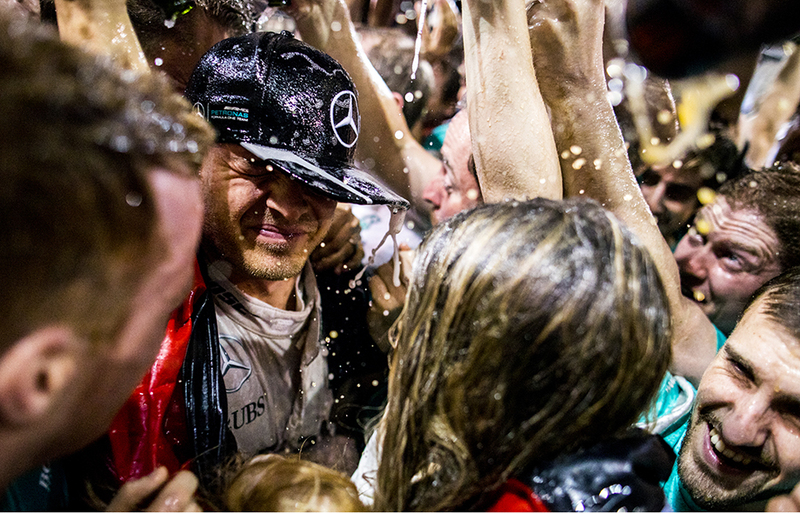 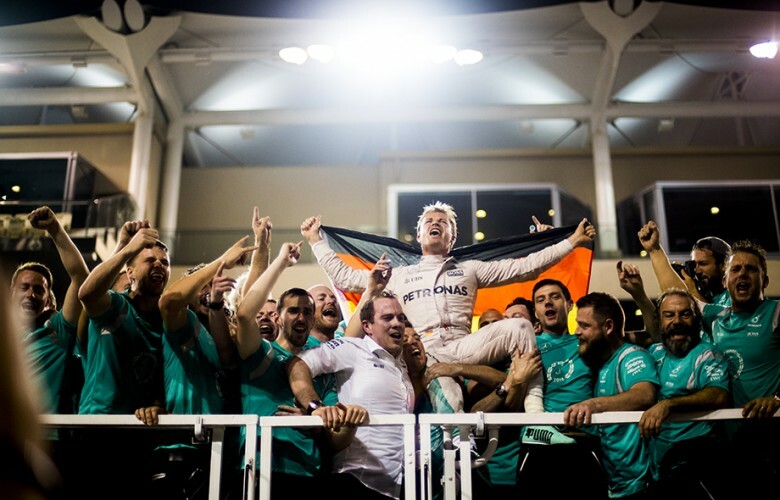 Nico Rosberg of Germany and Mercedes AMG Petronas celebrates with his team after claiming his first World Champion Title following the Abu Dhabi Formula One Grand Prix at Yas Marina Circuit on November 27, 2016 in Abu Dhabi, United Arab Emirates. 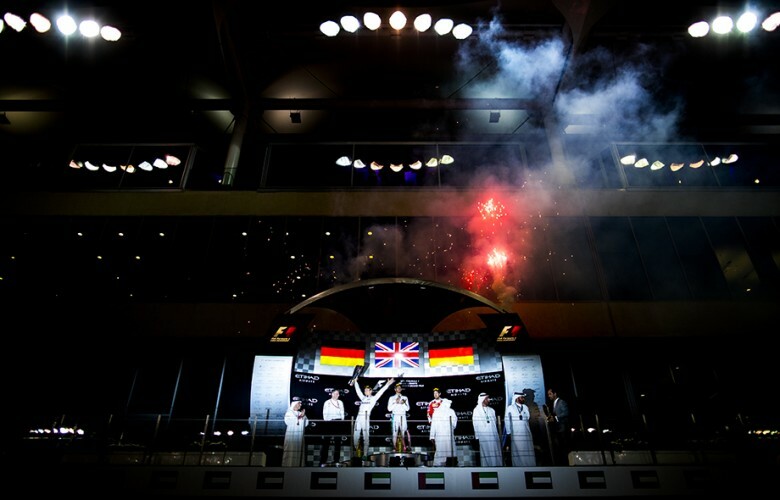 Vivian Sibold kisses her husband Nico Rosberg of Germany and Mercedes AMG Petronas during celebrations after claiming his first World Championship Title following the Abu Dhabi Formula One Grand Prix at Yas Marina Circuit on November 27, 2016 in Abu Dhabi, United Arab Emirates. 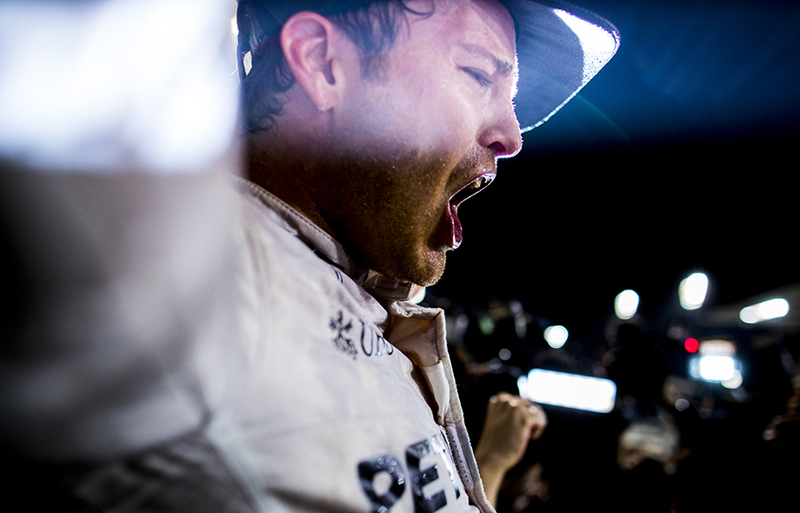 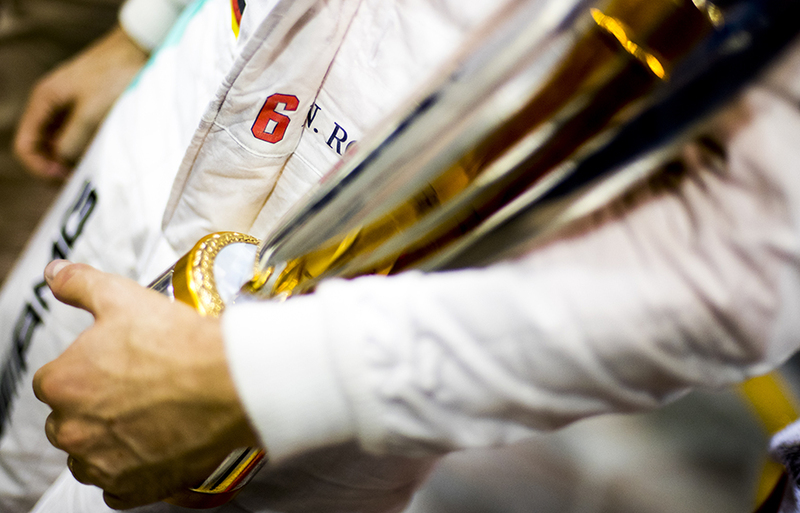 Nico Rosberg of Germany and Mercedes AMG Petronas holds his second place finisher trophy as he celebrates claiming his first World Champion Title following the Abu Dhabi Formula One Grand Prix at Yas Marina Circuit on November 27, 2016 in Abu Dhabi, United Arab Emirates. 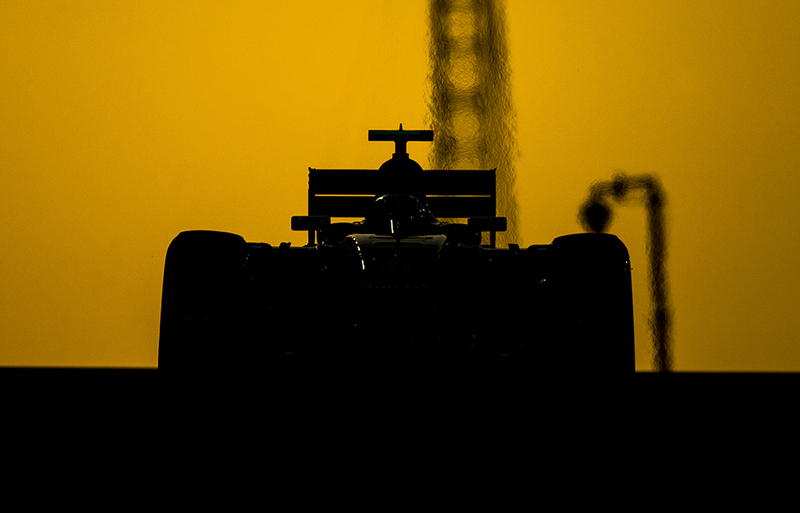 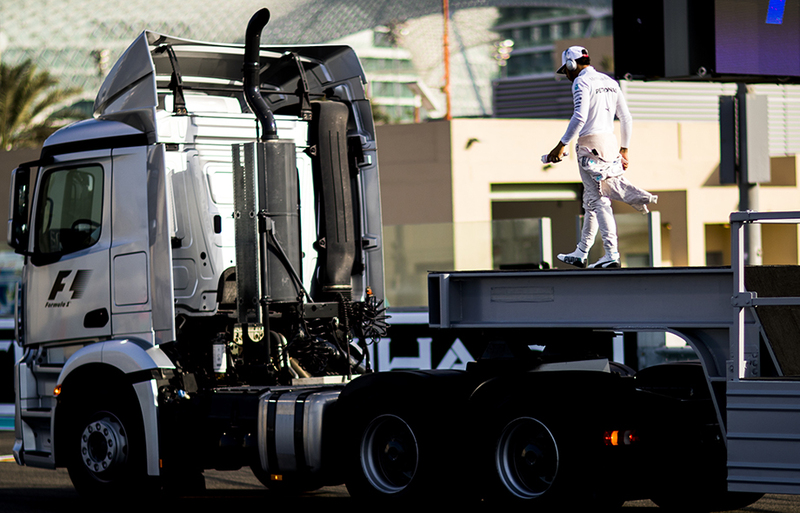 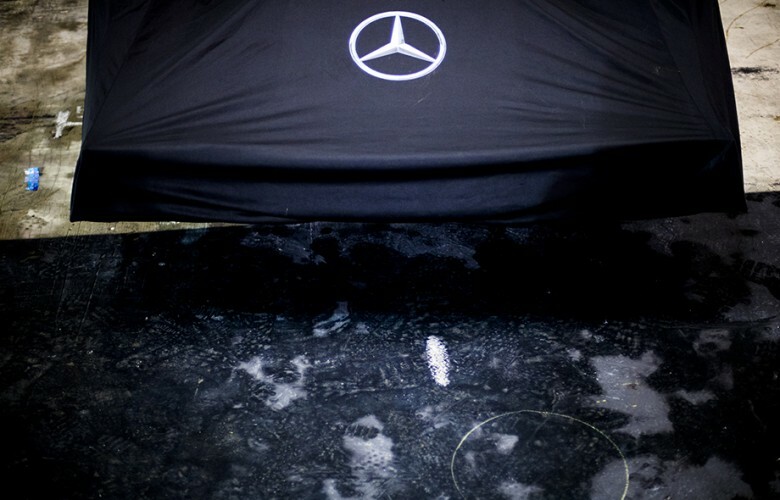 Championship winning W07 Hybrid of Nico Rosberg of Germany and Mercedes AMG Petronas is seen covered after the Abu Dhabi Formula One Grand Prix at Yas Marina Circuit on November 27, 2016 in Abu Dhabi, United Arab Emirates.